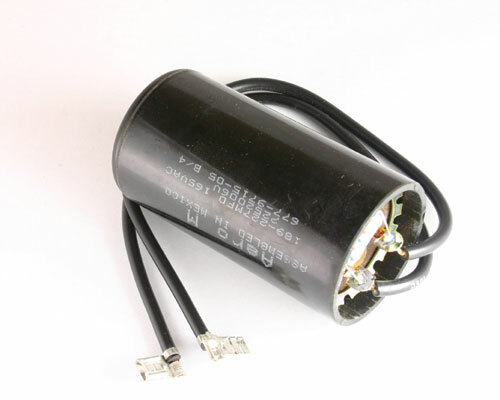 AC MOTOR CAPACITOR WITH BLEEDING RESISTOR. LEADS LENGHT 9.5 IN. CAPACITANCE RANGE 189-227 UF.